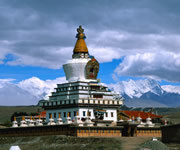 Tea, compressed into tea bricks, was traceably introduced to Lhasa, Tibetan (Tubo) area, Burma, Nepal, India and even some European counties during the Tang dynasty (618-907), following the path with natural wonders of long gone Tea-horse caravans. Across the dangerous hills and rivers of HengDuan Mountain Range and the rooftop of the World, those ancient traders could take one-year journey to reach their destinations. 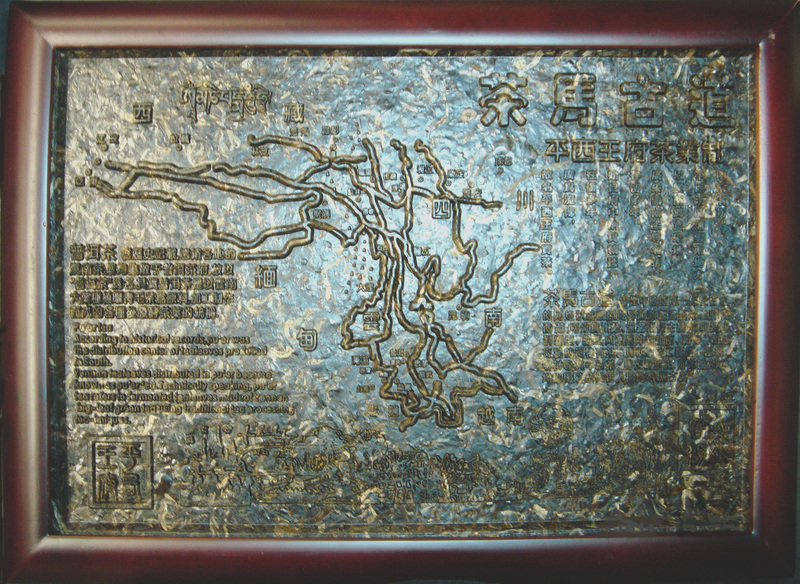 The following distinct map, made of Pu-erh tea, shows one of the world's highest and most precipitous ancient roads which carried precious cargo—tea but also spread civilizations and culture. 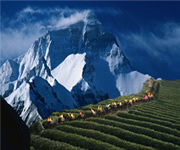 According to historical records, Pu'er was the distribution center of tea leaves produced in South. Yunnan tea leaves distributed in Pu'er became known as Pu'er tea. Technically speaking, Pu'er tea refers to fermented tea leaves made of Yunnan big-leaf green tea using traditional tea processing tea uniques." Size: 15 inches width, 11 inches length and 1 inch thickness.